Lying on a sunny terrace above the Rhone Valley, Haute Nendaz is popular with skiers and hikers alike. A modern holiday resort built around an old Valais village, it is perfectly suited to families with young children wanting respite, good food and the glory of gorgeous scenery. Offering commanding views of the Alps and nestling in the heart o the Four Valleys ski region, it is an enchanting town: the best places to stay in Haute Nendaz will leave you utterly smitten. The Four Valleys ski region boasts well over 412km of pistes, so you are really spoilt for choice. Unlike other resorts nearby, like Verbier, it isn't thronged with tourists year-round so you can expect to find tranquility here. However, it is further removed from the slopes than other villages in the area, meaning that public transport or hotel shuttles will be the order of the day. In spite of this, there are 92 transport facilities in town, so you will never find yourself without a day of blissful skiing! Originally a classic Valais village, the centre is made up of traditional timbered houses, barns and grain stores; on the outskirts of town, lining the mountainsides, you will find an enormous network of "suonen", irrigation chanenels dug and maintained by farmers centuries passed, and walking paths that run adjacent to them. If you're there in the summer, be sure to take some time to stroll beside them: lining many of them are apricot trees and bushes blooming with raspberries. There are over 250km of hiking trails nearby, so the hikers amongst you will be assuredly entertained. A great boon of Haute-Nendaz is her family-friendly attitude. It has the "Families Welcome" seal of quality, boasting facilities ranging from childminding, craft programmes and toy hire to pushchair-suitable footpaths and several playgrounds. Lying nearby Sion, the picturesque and historic capital of Valais, you are well placed to explore the impressive fortified hill castle of Valere - a stark and beautiful sight to see. Head up the Four Valleys and enjoy skiing over 412km of pistes! Stroll mindlessly through the Japanese Garden. If you're a hiker, be sure to tackle the 250km of hiking trails! Walk alongside he enormous network of "suonen" - irrigation channels - where fruit trees and wildflower grow. Visit nearby Sion and the incredible fortified hilltop castle of Valere! Haute Nendaz is perfect for families wanting to ski, but also wanting to escape the hustle and bustle of the larger, more manic resort towns. 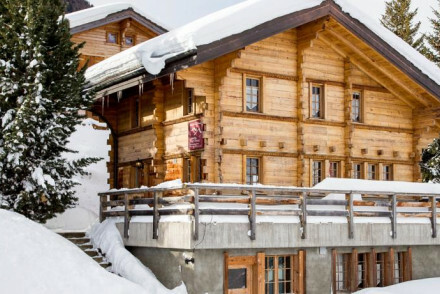 The best places to stay in Haute Nendaz are ideal for families seeking seclusion. Hameau les Cleves: gorgeous semi-detached lodges with pine-clad interiors and sink-into beds. With commanding mountain views and only a stone's throw from the best slopes. The restaurant serves up sumptous cuisine, both regional and international fare. Perfect for families with young kids! Our partner Booking.com has a range of chalets and apartments in the nearby area. Many flights from both the UK and Europe connect to Sion on a seasonal basis. If you can't get to Sion, fly to Geneva, 166km away, and get a train direct to Sion. Nendaz has the benefit of being in a sunny spot, so the winter temperature lows are fairly tepid compared with the rest of the region, reaching -1 degrees. During the summer, the highs can reach 21 degrees! Gorgeous traditional lodges situated right on the slopes, with far reaching mountain views. Pine clad rooms and suites give a cosy feel, as do the winter motifs and sink-into beds. Seasonal and regional cuisine served up in the restaurant. Perfectly placed for an adventure holiday. Families - Whole lodges can be hired allowing for families to have a secluded space and some independence. Active Holiday - A ski-in ski-out mountain lodge for extremely easy access to the slopes. Great walks - Walk along the thematic paths at Tracouet.